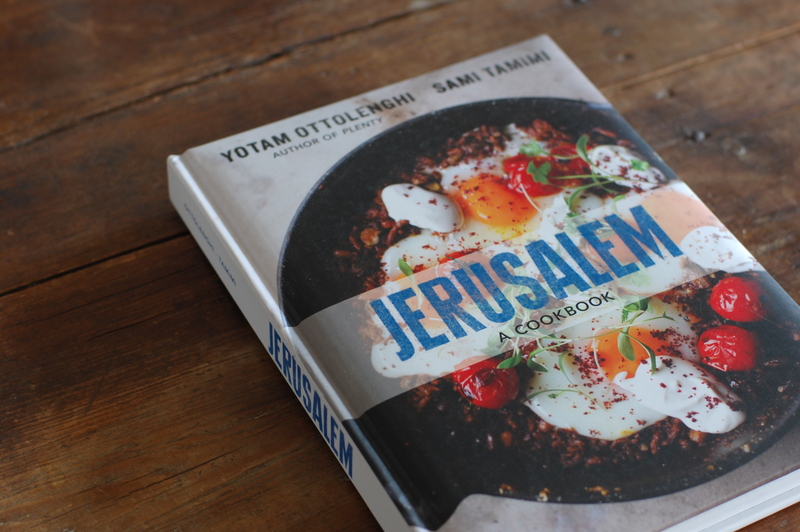 i used the recipe from jerusalem in combination with the smitten kitchen variation of it. seriously, best. hummus. ever! however, achieving this totally-worth-it-hummus was no easy task. in deb perelman’s (smitten kitchen) hummus post, she gave up the trick to smooth, creamy hummus: skinless chickpeas! who knew!? whether you are using dried chickpeas or ones out of the can, deb insists that one has to “pop” each chickpea individually out of its shell/skin. tedious? yes! worth the aggravation and work? yes! in a bowl soak dried chickpeas with water that is twice their volume (just make sure the there’s a few inches of water covering the chickpeas). leave them to soak overnight. the next day, drain the chickpeas. in a sautè pan over medium-high heat, combine the chickpeas with the baking soda (apparently this reduces the gassy effects of dried beans!). stir constantly for about 3 minutes. add 3 1/4 cups of water – bring to a boil. once it boils turn down to a slow simmer (i had my heat up too high, my beans got quite mushy and were hard to peel later on). use a slotted spoon to skim the foam from the surface. they will cook for 20-40 minutes. you will know that they’re ready when they break easily between you thumb and finger. drain the chickpeas. you can either let them cool on their own, or run them under cold water. here is the important part: peel your peas! place the chickpeas between your thumb, forefinger and middle finger and pop them out one by one. in a food processor or blender, blend the chickpeas until clumps form. next, add the tahini, lemon juice, salt, and roasted garlic, blend until pureed. add water by the tablespoon until you get desired consistency. transfer the hummus to a bowl and let it sit in the refrigerator for at least 30 minutes. let it sit longer if possible to let the ingredients marinate.